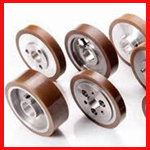 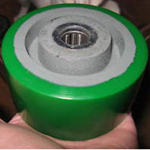 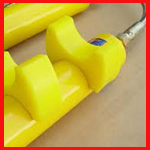 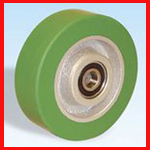 Polyurethane convex rollers offer high impact resistance, flexibility, elastic memory, noise reduction, and are resistance to oil, ozone, low temperatures, radiation, and corrosion. 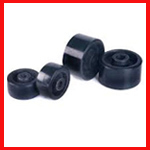 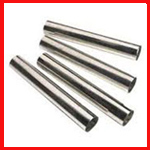 Precision rollers are also available as: concave roller, convex roller, straight roller, hubbed roller, v-groove roller, bearing cover, coated bearing, bushing, and more. 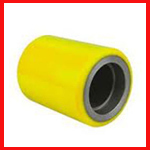 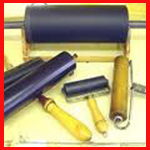 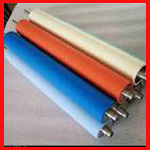 We are one of the predominant Suppliers & Distributors of a wide range of products which include Polyurethane Rollers such as Polyurethane Roller, 1500mm roller, Bridle Roller, Ink Roller, Roller for Steel Industry, Taper Roller and many more items. 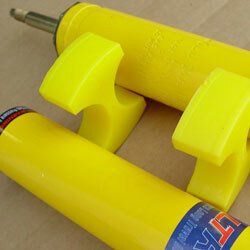 Hyderabad - 500062, Andhra Pradesh, India. 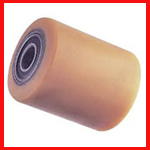 © Copyright Swagathurethane Pvt Ltd.